Our boys will be playing three away matches on the trot now. The first of these is against Royal Challengers Bangalore at the M. Chinnaswamy Stadium on 7th April. It will also be the first match of our campaign where we play at the 4 pm slot. The wicket at the M. Chinnaswamy stadium is a spin friendly track so the focus will be on Sandeep Lamichhane, Amit Mishra, and Axar Patel. Our boys will need to watch out for Chahal as the spinner has performed well for RCB in almost all their games. We currently have 4 points on board with 2 wins and 3 losses from 5 matches. Our last encounter against the Sunrisers was a well-fought one. It was a valiant effort from our bowlers to defend the low total of 129 but eventually SRH won the game. On the other hand, RCB is currently at the bottom position on the IPL table as they have lost all five games played thus far. In their last match against KKR, the Kohli-led team lost from a winning position. They had put up a fantastic total of 205 in 20 overs. KKR required as many as 55 runs in the last 3 overs. Some brilliant hitting from Andre Russell helped KKR win the match with 5 balls to spare. The head to head statistics maybe in favour of RCB but based on the current form, we certainly have the edge going into the game. The hosts will be looking to end their losing streak. But the match is extremely important for us as well as it is imperative to get back to winning ways. Rishabh Pant has a brilliant track record against RCB. The youngster has accumulated 249 runs in the 5 matches he has played against them and has a strike rate of 161.68. He has also hit 3 fifties against the Bangalore-based franchise. Axar Patel holds a fantastic record against RCB. He has picked 10 wickets in the 11 matches played against them at a bowling average of 19.54 and economy rate of 7.16. The talented all-rounder played a good cameo of 23 in our previous match against SRH was also excellent with the ball. Axar will be looking to carry on the good form against RCB. Sandeep Lamichhane may prove to be extremely effective at the Bengaluru pitch. The legbreak bowler has also picked at least one wicket in all the three matches he has played. Sandeep is expected to up his game by a notch as his role may prove to be pivotal against RCB. AB de Villiers looked excellent in the previous match against KKR. The Right-handed batsman smashed an excellent 63 off 32 deliveries. His return to form can be dangerous for any opposition. Kohli was also in sublime touch against the Kolkata-based franchise. The skipper led from the front and was RCB’s top run-getter with the bat with a score of 84 from 49 deliveries. RCB's skipper has a fantastic record against us. He has amassed 761 runs in 18 innings at an average of 69.18. Virat also has 8 fifties against us so getting rid of him early on will be crucial. Yuzvendra Chahal has been the bright spot in RCB's bowling attack. The legbreak bowler has clinched 9 wickets in 5 matches and boasts of having a fantastic economy rate of 6.45. He is their trump card when it comes to bowling and our batsmen must be wary of him. The batsmen and spinners will be in the limelight during Delhi Capitals vs Royal Challengers Bangalore. The good thing for us is that our top 4 batsmen are all quality players of spin. 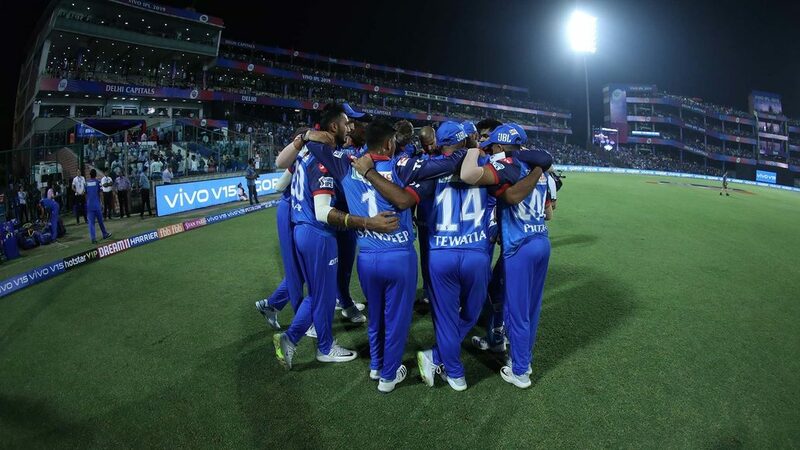 Some smart batting against RCB is likely to get us our third win of IPL 2019.